Selected from the finest quality of red sandalwood and powdered. No other ingredients or impurity. This is not intended to diagnose or cure diseases. Mix equal quantity of Wild Turmeric Powder, Red Sandal Powder, and Honey and apply on face. Wash it after 15-20 minutes. You can substitute Honey with Rose Water, Curd Milk Powder etc. Use this combination once in 2-3 days. You will get a good result. Moreover, it is the natural remedy for the skin. 👉 Packaging: Comes in a safe, easy to carry plastic tub with a screw cap. No risk of breakage. Brand says "We now avoid plastic coating on the product bottle to reduce plastic use and also part of our environmental concern. But we don't compromise on the safety of the products inside. Inner sealing and other safety precautions are made." 👉 Color and Consistency: Extreme Red or you can say Blood Red. And it comes in a powdered form with some fiber kind of texture in it. So it is actually a mix of fine powder and some exfoliating fiber. 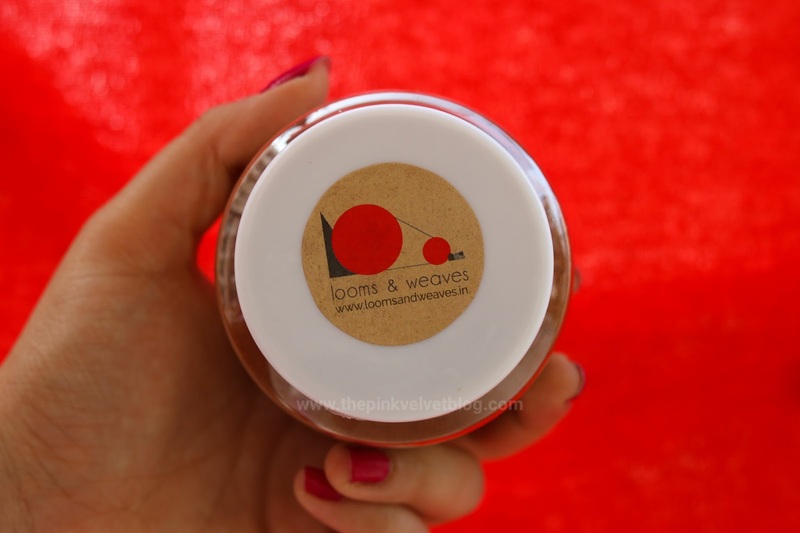 👉 My Experience/Effectiveness: My skin is really sensitive and it is a record that whenever I buy something new, where Brand and Product, both are new for me, they didn't go well. 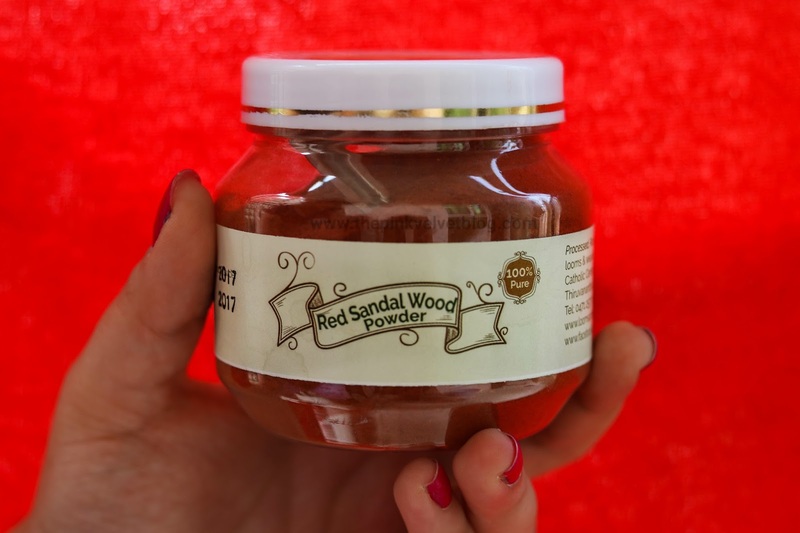 I bought it back when my skin was facing extreme pimple and acne issues and because red sandalwood is known to be good for acne conditions, I decided to give this a try. 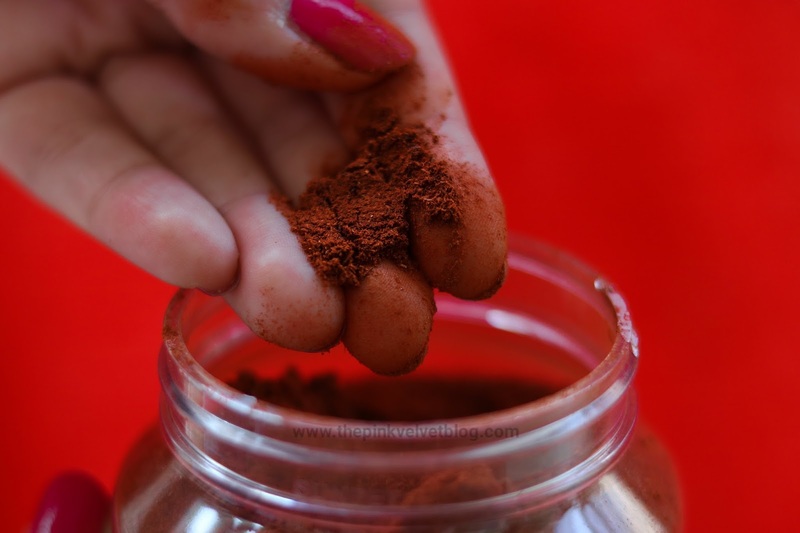 Product says you need to mix it with wild turmeric, I was not having that so I did a good research for some DIYs with Red Sandalwood Powder. I tried this thing with every possible ingredient. Be it Honey, Rosewater, Besan (Chickpea Flour), Multani Mitti (Fuller's Earth), Curd and even filtered the powder to extract the fine powder to mix it with coconut oil to be used as night facial massage oil. But each of my DIY experiment failed! After every experiment, all I got was red skin. No, that was not red skin rash, it was the stubborn stain of red sandalwood on my face. This powder stained my skin badly. I cleansed my skin again with a good face wash and even scrub. But the stain was there until next day. It even stained the Basins and bowls I used to prepare DIY. Coming to some expected benefits, I didn't experience any benefit or positive effect. 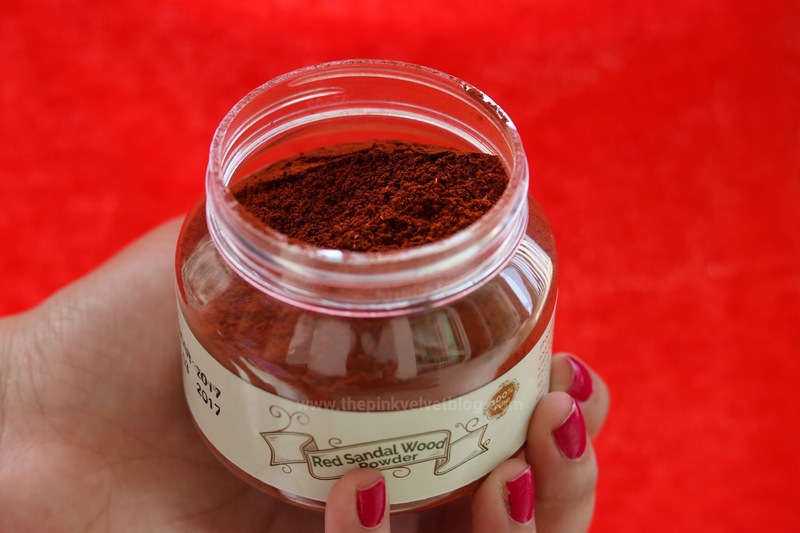 Except for the red stains on my skin, I got nothing from this red sandalwood powder. Although it didn't give any rash, itching, or skin irritation. But it didn't give any positive result either. Now, honestly, I don't know if it is this particular brand or the red sandalwood by default leaves such hard stains, but my experience with this didn't go well. 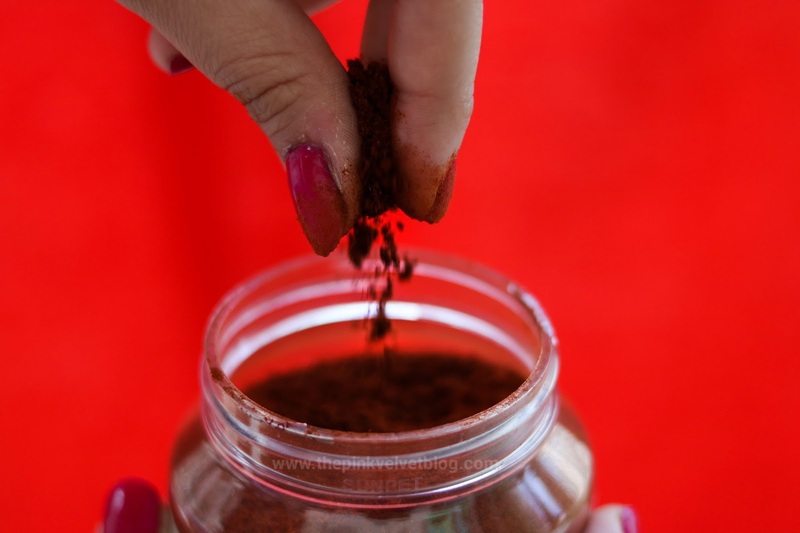 💁 In Short, Red Sandalwood Powder from Looms and Weaves gave my skin only red stains which were hard to remove. I didn't experience any positive results from this. So this was all for today. Hope you will find this post helpful. Oh my God, I have bought one from Kerala on my recent trip to Munnar. Now, I am confused if I should use the product or not. Ohh i was expecting this would heal the acnes,.. I will skip this,..
Never heard about this brand. And thanks for your honest review! I hope you are fine now! I mix the red sandalwood with curd and aloe vera gel and wash it off before it dries, approx 5 mins. The results are awesome. I have not faced red stains till date. 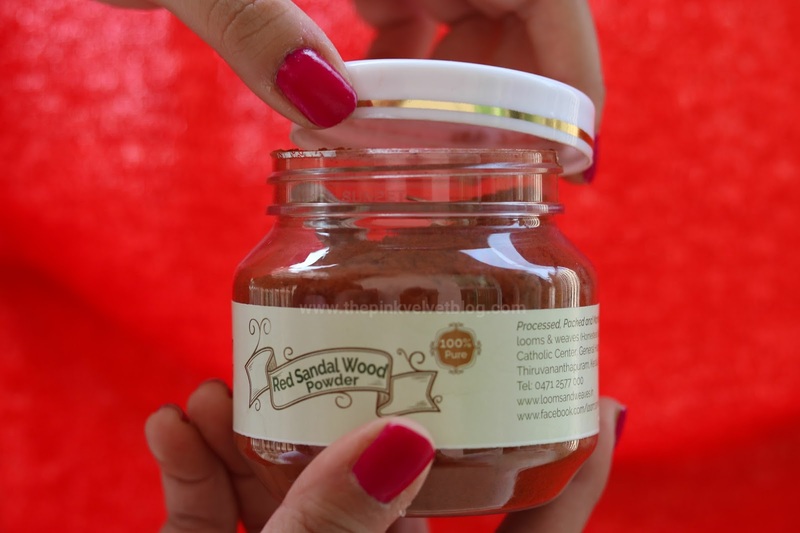 I have blemishes and hyper pigmentatuon on my face and the red sandalwood works wonders for me. I think we should use the powder as instructed on the container. Agreed! But there was nothing mentioned on the container. Next, I got to know that they are made in batches which are not equal every time and most of the people experienced same.